A new study just published in the Annals of Internal Medicine finds significant health benefits associated with consuming a Mediterranean diet. How significant? The women in the study who followed this nutrition plan in their 50s were 40% less likely to develop chronic diseases or face mental or physical problems in later decades. 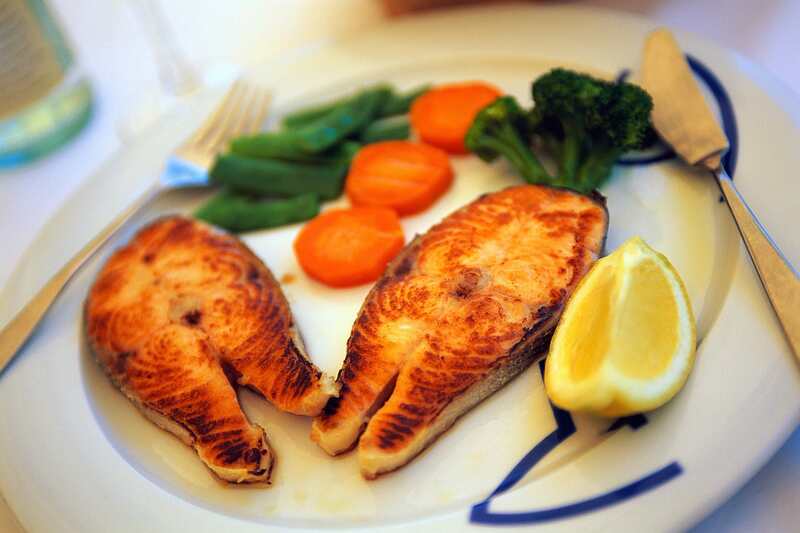 Mediterranean dietary habits center around fish, nuts, vegetables, and fruit. They also include whole grains and olive oil. By contrast, the typical American diet includes processed carbohydrates, saturated fat, red meat, and few vegetables. The study followed 10,000 middle-aged women. Every two years they completed a survey describing their dietary lifestyles. Over the course of 15 years, researchers recorded the development of chronic diseases, such as Parkinson’s and several types of cancer. They also performed cognitive and physical tests on the women to determine mental and physical ability. Meir Stampfer, co-author of the study, says he was “surprised by the magnitude of the effects”. We know much about the benefits of the Mediterranean diet already. But this study further strengthens the positive health consequences of eating this way. This particular Mediterranean Diet study used an observational method. As such, it’s hard to draw a hard line between just one lifestyle habit (diet) and health outcomes. However, I don’t think we can underestimate the impact of what you put into your body everyday. You don’t have to overhaul your diet tomorrow, but we call can benefit from a few small changes today. I know I picked up a few more fruits at the store tonight and opted not to buy some cheddar cheese. And one nice perk of the Mediterranean diet: Those who ate healthy in the study consumed a moderate amount of alcohol, usually in the form of red wine with a meal. , co-author of the new paper, says he was “surprised by the magnitude of the effects” in the study, given what we already know about the of a Mediterranean style diet.